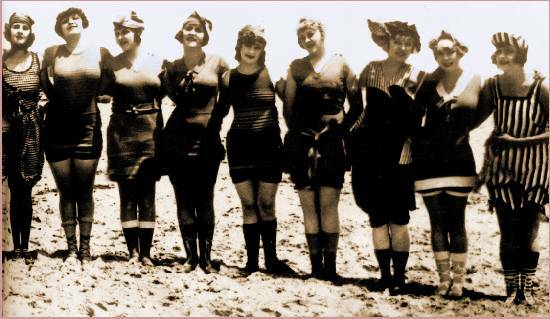 13 Mar 1912 – Controlling mixed bathing on the beach. The beach and foreshores committee of the Glenelg Town Council reported on Tuesday evening that consideration had been given to the best manner of controlling mixed bathing on the beach. The Town Clerk (Mr A.I. Tait) had formulated a draft set of by-laws, which were undergoing revision before being submitted to the council for adoption. It was recommended that the beach between the baths and the jetty be set apart for mixed bathing. This entry was posted in History, The Way We Were and tagged Family History, Public Bathing, Town council by Catherine. Bookmark the permalink. What a fun picture! It’s hard to believe that “mixed bathing” was once considered scandalous.